Indian Army Recruitment 2017-2018 Apply Online Application Form, Various Sol GD, Sol Tech, Nursing Assistant, Sol Tradesmen, Sol Clk/SKT Posts. 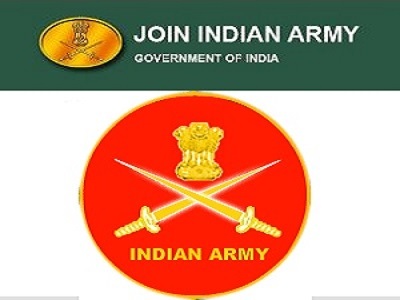 Indian Army Jobs Official website www.oinindianarmy.nic.in. The last date for submission of Online applications is 28.01.2018. Indian Army Katihar Rally 2018 Various Post Apply Now. Indian Army pattern of examination, Syllabus, Question Paper, Admit Date Release Date, Exam Date, Result Date etc. Soldier Nursing Assistant/NA Veterinary - 10+2 pass in Science with Physics, Chemistry, Biology and English with min 50% marks in aggregate and 40% marks in compulsory subjects. OR B.Sc Degree (Botany/Zoology/Bio Science) and English simple pass. However, in 10+2 all the four specified subjects should be studied. Soldier Clerks/SKT - (a) Simple Matric pass for all casts including ST Cateoori: (Adivasi). Soldier Tradesmen - 8thpass for all caste including ST Category (Adivasi) and SLC should be countersi9ned by District Education Officer.